When Tavi isn't doing normal teenage things like attending music festivals with friends she can often be found doing the extraordinary. At the moment she's co-writing a book about her life with Marisa Meltzer with contributions from Miranda July and the Rodarte Sisters. Her favorite bands from Saturday were Thurston Moore (former front man of Sonic Youth) and Neko Case. Tavi is wearing shoes from her "friends Mom" and a t-shirt in homage to the song Teenage Suicide (Don't Do It) by fictive band Big Fun from the movie Heathers. I probably watched that movie 100 times back in highschool. I was totally obsessed. You're probably asking yourself "what's in that brown paper bag Tavi?" Well I'll tell you. It's the album Colour Green by Sibylle Baier. 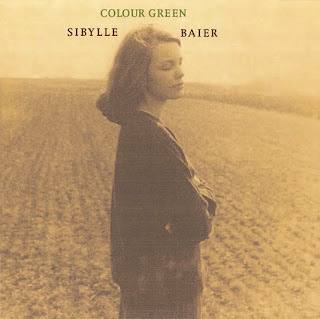 Baier is a German actress whose musical talents were given late recognition in 2006 with the release of this album comprised of folk songs Sibylle recorded in the 1970s. Have a listen to the title track, it's hauntingly beautiful. I'm glad to know tavi and i were present for the same bands. Her face has matured - looks like she's turning into a beauty! Gotta love a famous gal who can be so not lame. 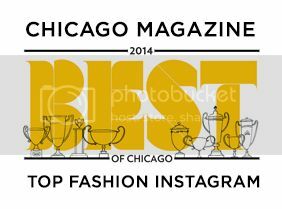 Really, I think that's a serious accomplishment. And the Heathers tee? Word, sister. Tavi is really coming into her own. She looks great! Amazing photo. She is looking great! Thanks for the compliments Nikia. I totally agree Ms. Sartoriography, she was super sweet in person and a force of cool online. 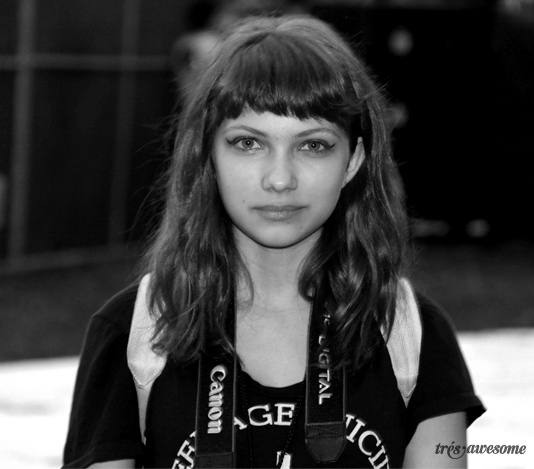 Tavi is so amazing and I can't believe how old she looks! That album is a killer! Tavi continues to impress and make me (and probably most) realize I was waaaay not as cool as she is at 15.